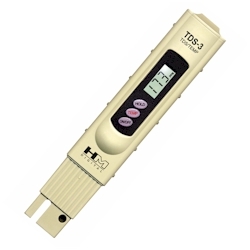 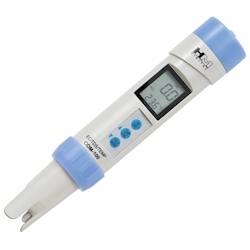 The HM Digital AquaPro AP-1 Water Quality Tester is a hand-held digital water quality tester which is used to test the amount of total dissolved solids (TDS) and other impurities in your water supply. 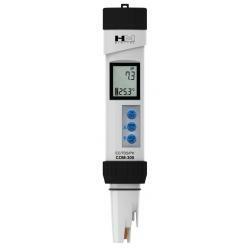 Useful for both consumers and hobbyists, it can be used to test your drinking water, pools, spas, jacuzzis, aquariums, hydroponic systems, and more. 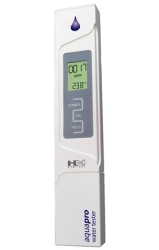 The AquaPro is calibrated with a 342 ppm NaCl solution. 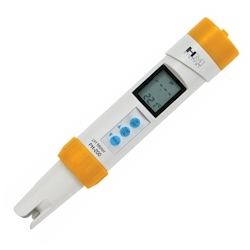 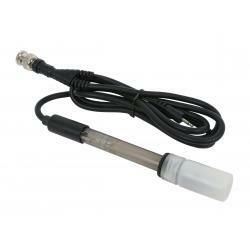 The meter can be recalibrated with digital calibration using the push buttons, rather than a screwdriver.